Classic Rotary Phones: Repair, Refurbish, Restore Vintage Telephones » Blog Archive » Phone Company Mascots…who were those guys? 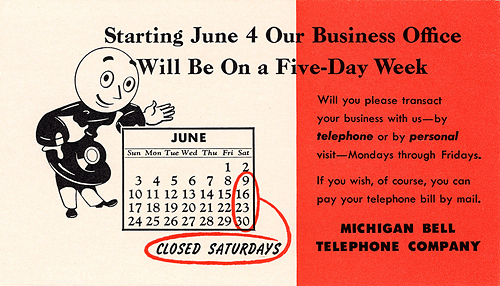 Phone Company Mascots…who were those guys? 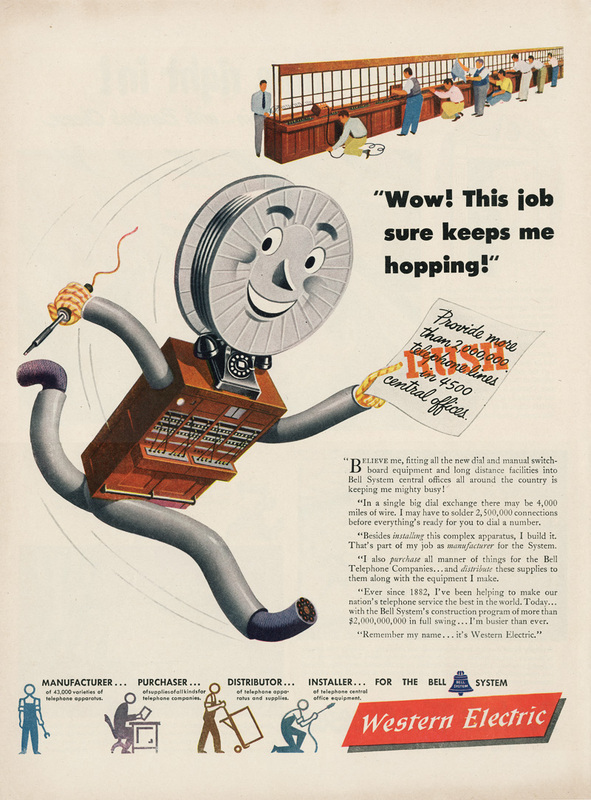 I’ve always been very curious about the cartoon-like “mascots” that were used in Bell Telephone and Western Electric promotions. The ink-blotter shown above includes a good example of an early character, one that was used countless times. The image isn’t dated, but the calendar shown likely makes it from 1934, although 1945 would also be possible. Although “Mr. Phone” (my term) seems to be a model 202, he remained in service for the duration of the 302 era, even after “Mr. Switchboard” (right) came onto the scene. Mr. Switchboard (again, my name for the character) didn’t seem to have as long a career as his predecessor, but was used heavily for a time. Who created the art for these characters? Did they have names? Everyone remembers “Reddy Kilowatt”… how could these great cartoon characters not have been given names? I’ll bet that someone (or several someones) know all about these two mascots, and with a little luck maybe they’ll read this and share the stories of “Mr. Phone” and “Mr. Switchboard” with us.